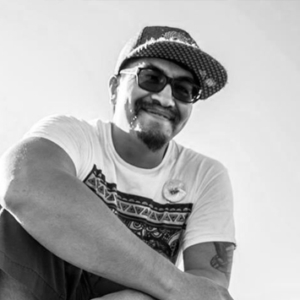 I am Timothy Ritter a 38 year old self taught Thai American artist. I have been into streetpainting/chalk artist for the past decade. Chalk art signifies impermanence, I don’t get attached to my piece. I create, and let nature take it’s course. Pictures preserve the chalk art. I am an artist without who. The young artists is who I want to inspire. Asian arts is my strong suit. I have won awards for best original art, to people’s choice. 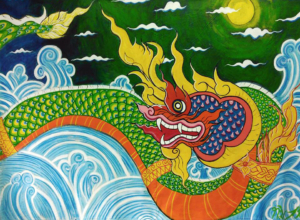 In Thai culture the naga dragon is a half man half cobra creature that signifies strength & courage. Thai temples have naga adorned in sculptures & murals. I feel this dragon represents my heritage & culture. I am proud to be a Thai American, and share the art of my ethnicity. In some way, shape, or form we all came from immigrants. Be proud of your roots.